LUCKY BOY is the moving novel about two unforgettable women in Northern California: an undocumented Mexican woman, Soli Castro-Valdez, and an Indian‐American woman, Kavya Reddy, who longs to become a mother. Both are bound together by their love for the same child. Sekaran's vivid story – begins in Mexico, follows young Soli's perilous journey to El Norte, then to Berkeley where she manages to find work, and then, suddenly, trapped inside a nightmarish detention center. Ripped from her child, Soli must muster her daring and creativity to find a way out. It’s also a story about California right now – who does the work and who has the power. 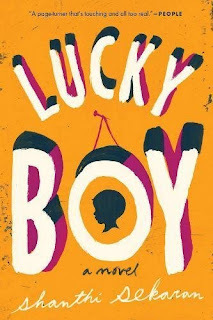 With the regime of Donald Trump, and the increasing demonization of immigrants, Lucky Boy is a story that must be heard - a window into the hearts and lives of millions of people who live in the shadows, risking their very existence to survive. 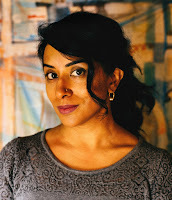 A native of California, Shanthi was inspired by her own upbringing as a child of immigrants, by the news stories she was hearing about undocumented mothers losing their children when they were put into detention centers, and by living in Berkeley, a place that for all of its progressiveness is also incredibly privileged.